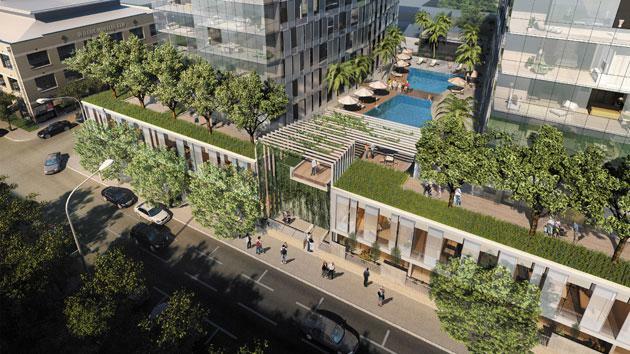 Metro Property is set to release the first stage of its new 920-apartment inner-city complex. The Queensland-based company has dominated the local apartment market, racking up almost 19 per cent of sales in the city last year. Newstead Central development is a five-stage $400 million series located between Brisbane’s Ann and Stratton Streets. About 50 per cent of the one and two bedroom apartments have been sold to existing clients since a soft launch late last year, with the remainder of the 149 units now offered for sale. “Newstead Central is located in the heart of Newstead, one of the city’s most exciting and fastest growing inner-city suburbs,” Metro’s co-founder and chairman, David Devine told The Australian. Metro has invested heavily in Brisbane’s inner city, with 1,599 apartments across seven projects in nearby Fortitude Valley and Bowen Hills. The company has a total of 46 projects around the country. Urbis late last year said Brisbane’s inner city was undergoing “a dramatic transformation” with record new-apartment sales. Late last year it found there were 5,190 units in planning, construction or for sale in the city’s inner north, amounting to a total worth of $280 million.